Even top news photographers have their work digitally enhanced these days. Mounting competition in the market for news images is forcing photo-journalists to make their output as dramatic as possible. But where are the limits of cosmetic improvement? Any one twiddling with Picasa realises that a photo often seems more lively if tweaked with HDR-ish – a recent new feature. The Gaza photograph looks very much as if it has been HDR-ished. Or something similar. In a sense using HDR-ish turns a photo into a painting. 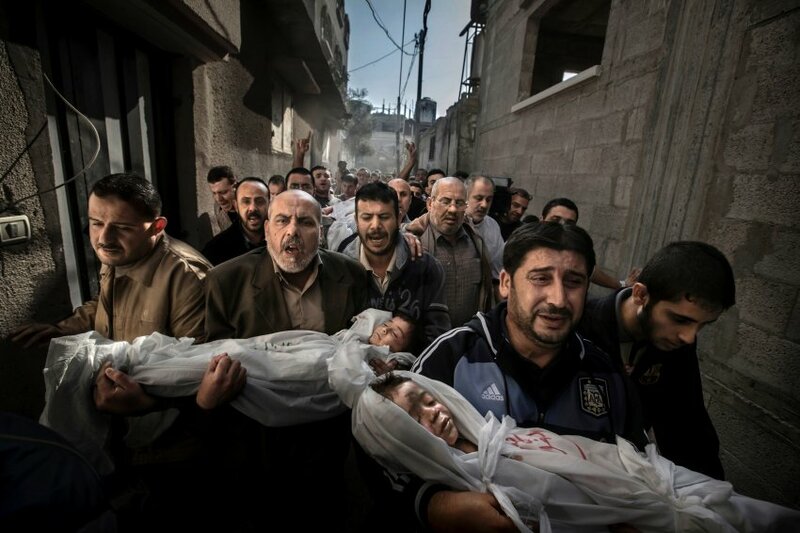 And this to me is the feel of the Gaza photo. There is a line between creating this art effect and moving back into photograph. Slide the fade control – it’s obvious there is a perfect point to get what is pretty much in this photo. Too little fade it’s art, too much and you’re back into photo. Sure, other things may have been done to it to get this effect, but that’s pretty much it without even touching Photoshop.